In case T 1051/07, the EPO's Technical Board of Appeal 3.4.03 decided on allowability of EP 1 365 368 of Korean mobile service provider SK Telecom. The application relates to a system for executing financial transactions in that a mobile account is issued to a mobile phone subscriber and is administratively managed by the service provider, while a transaction with the mobile account is effectuated by a transaction between a bank account of the subscriber and intermediate accounts ("juridical body accounts") of the mobile sevice provider at different banks. The Examining Division (see decision) found that this teaching only relates to organisational, procedural or administrative aspects of financial transactions involving a mobile account that, as such, lacks technical character. The application was thus refused due to lack of invention step (Art. 56 EPC) since the difference over prior art cannot contribute to inventive step. 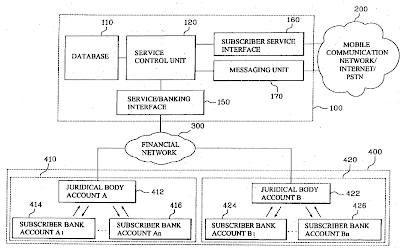 a database (110) for storing data processed in said service control unit (120), said database (110) including a service account of the juridical body providing the financial transaction service and a mobile account granted to a cellular phone number of a mobile terminal of the subscriber, wherein the service control unit (120) processes a second transfer of a corresponding amount of money between the service account of the juridical body providing the financial transaction service and the mobile account of the subscriber. 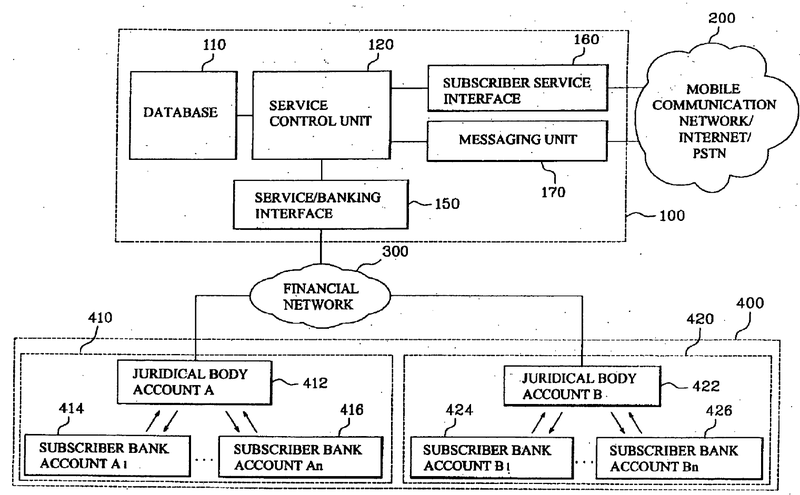 wherein the service control unit processes a second transfer of a corresponding amount of money between the service account of the juridical body providing the financial transaction service and the mobile account of the subscriber (cf feature d). allow a user (subscriber) to load money on his account in the host computer", which would lead to the objective technical problem to "provide the system with means allowing a user to load money on his account in the host computer (or realise money from his account)". Since none of cited prior art documents directly addresses that problem or contains any indication as to its solution, the Board considered the claimed solution inventive over prior art. Conclusion: As opposed to the ED's finding that the claimed subject-matter only relates to a straightforward technical implementation of an administrative banking procedure lying outside the patentable regime, the Board did not consider claim 1 to merely recite an administrative banking procedure alongside straightforward technical means for its implementation but, rather, identified a technical solution, involving technical means to the technical problem of how to reload such an account. In line with the EPO's adapted problem solution approach, as developed in T 208/84 (Vicom) and T 641/00 (Comvik) for assessing software-implemented inventions, the present case shows (again) that even commercial or administrative methods may be both patent eligible according to Art. 52 EPC and inventive according to Art. 56 EPC, if the claimed teaching comprises technical features that - simultaneously - solve a technical problem in a non-obvious way. Even though the non-technical context of a teaching is per se regarded as prior art under the adapted problem solution approach and thus may be detrimental to the inventiveness of a business method claim, this hurdle may be overcome by a reasonable level of technical detail, as demonstrated by the present case. Peter Drahos - Professor in Law and Director of the Centre for the Governance of Knowledge and Development at the Australian National University, Chair at the Queen Mary Intellectual Property Research Institurte, Lawyer, Political Scientist, and Philosopher - recently gave an interview to the EPO Staff Union (SUEPO), in which he took a critical view at the functioning of the global patent system. Based on a detailed study of the patent systems of 45 rich and poor countries, he argued in his latest book ("The Global Governance of Knowledge") that patent offices have become part of a globally integrated private governance network serving the interests of multinational companies, while the Trilateral Offices (EPO, USPTO, JPO) make developing country patent offices part of that network. Contrary to this development, Drahos recommends that patent offices should better recapture the spirit of an "original patent social contract", which Drahos identifies in the medieval idea of a fair exchange in which both parties receive something of value. 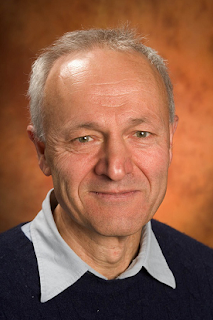 In the interview, Professor Drahos more concretely took the position that today a principal task of international governance is (or should be) establishing a global risk management to better manage risks, such as climate change, food security, loss of biodiversity, or pandemics, which will require much more sharing and diffusion of knowledge and technology. Against this backdrop, Drahos thinks that today’s global patent system is inappropriate to tackle the future challenges of mankind and postulates that patent offices should batter take a leadership role in networks made up of civil society, health departments, competition authorities and, by this, should become champions of a people’s social contract. Otherwise, he predicts, patent offices will spend their time handing out customer satisfaction surveys to their multinational clients. ways back to the "social contract" of patents. search results of the ISA have to be filed for priority-claiming PCT applications. In future, the EPO may also request any information on prior art taken into consideration in further parallel national/regional examinations. New Rule 70b EPC (Request for a copy of search results) clarifies that, if the information pursuant amended Rule 141 is not filed in time, a (non-extendable) two-months time limit is set to either file the required search results or a statement of non-availability. If the applicant fails to reply in due time to this invitation, his application will be deemed to be withdrawn (further processing available). For priority-claiming divisional applications, the EPO will automatically issue an invitation under new Rule 70b. If the required search results have already been filed for the parent application, a reply is not required. If for the parent application a statement of non-availability has been filed, the copy of the relevant search results, if available, or a new statement of non-availability is required. The EPO will automatically include those search results in its file that have been drawn up by the EPO itself, e.g. search reports made on behalf of a national office on a national application, i.e. for Belgium, Cyprus, France, Greece, Italy, Luxembourg, Malta, Netherlands, Turkey. US Patent and Trademark Office. a first filing made in Japan, the United Kingdom or the United States of America. An applicant claiming priority within the meaning of Art. 87 shall file a copy of the results of any search carried out by the authority with which the previous application was filed together with the European patent application, in the case of a Euro-PCT application on entry into the European phase, or without delay after such results have been made available to him. The copy referred to in para. 1 shall be deemed to be duly filed if it is available to the European Patent Office and to be included in the file of the European patent application under the conditions determined by the President of the European Patent Office. Without prejudice to para. 1 and 2, the European Patent Office may invite the applicant to provide, within a period of two months, information on prior art within the meaning of Art. 124 (1). Where the European Patent Office notes, at the time the Examining Division assumes responsibility, that a copy referred to in Rule 141 (1) has not been filed by the applicant and is not deemed to be duly filed under Rule 141 (2), it shall invite the applicant to file, within a period of two months, the copy or a statement that the results of the search referred to in Rule 141 (1), are not available to him. If the applicant fails to reply in due time to the invitation under paragraph 1, the European patent application shall be deemed to be withdrawn. 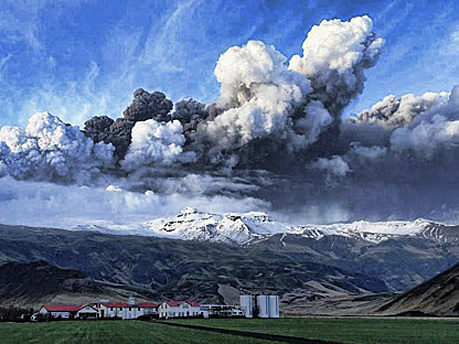 Besides all those nice and friendly elderly Father Christmases and Santa Clauses in the western world, Iceland has a totally different tradition in this regard. 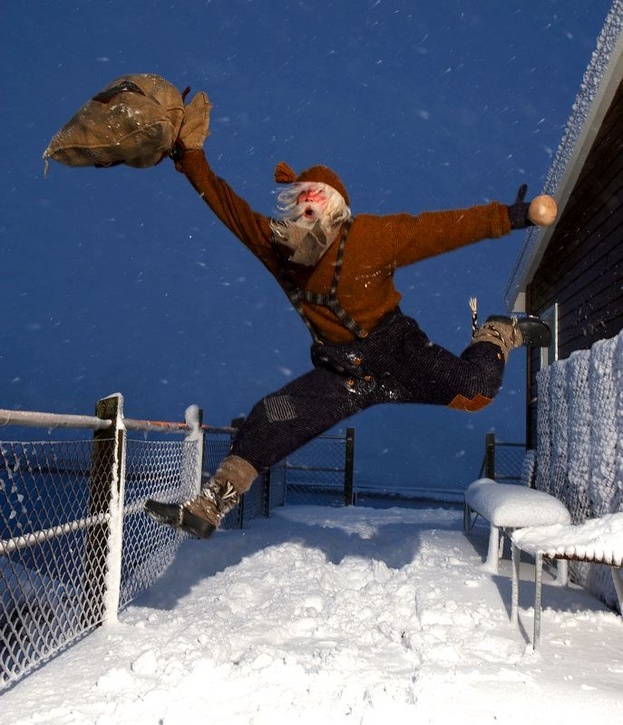 So if you are fed up with Coca Cola like Santas, you may alway visit the Icelandic Yule Lads at the National Museum of Iceland during Christmas season. The thirteen Yule Lads ("Jolasveinar") and their parents, ogress Gryla and Leppaludi, are very special. Mother Gryla, for example, is known for putting misbehaving children in her sack and taking them with her to the mountains, where the family lives in caves throughout the year. Before christmas the Lads come down from the mountains into civilisation one by one, the first 13 days befor christmas, i.e. on 12 December, so that they are all in the city on 24 December. After they have all gathered and entertained people on Christmas eve, they return to the mountains again one by one until 6 January (Epiphany) when the Icelanders celebrate by bonfires and fireworks the end of Christmas and the beginning of that time of the year, when the elves return on horesback. But if you are into patents even in regard to Christmas, you may consider the Father Christmas innovation story or the Christmas lights innovation history on the PatSnap blog or check out further Christmas patents. If you are more into social media, the "digital story of nativity" on YouTube might be something for you. After the EU Competitiveness Council Meeting of December 2010 (see video of debate), which was celebrated as "the breakthrough after 40 years" (see earlier posting), the EU Commission now tabled its legislative proposal for enhanced cooperation to create EU-wide patent protection (press release), which is supported by at least 12 EU member states - the 11 undersigners of the two supporting letters (here and there) to the Commission shortly before the latest Competitive Council meeting, plus Poland. This proposal needs to be approved by the EU's Council of Ministers by qualified majority, after the consent of the European Parliament. the EU patent should co-exist with national and European patents as a specific category of the known EP patent, granted by the EPO, designating the EU Member States participating in enhanced cooperation on unitary basis. the EU patent should be of autonomous nature, provide equal protection throughout the participating EU Member States and may only be granted, transferred, revoked or lapse in those EU Member States as a whole. a scheme for compensating the costs of translating a patent applications filed in an EU official language into an EPO official language should be set up, including financial and technical assistance for preparing those translations. Latvia: "We would definitely prefer a solution that is effective across the 27 member states as only this would bring us to the objective we established a while ago [...], but Latvia is open to further discussion on a different solution provided a compromise in the near future is impossible." Slovakia: "Key outstanding issues need to be resolved, namely [...] the relationship between the enhanced cooperation system and the proposed European and EU Patent Court as well as with the European Patent Convention. In addition, [...] we don't know what are the costs related to enhanced cooperation. This may impact functioning of smaller national patent offices and therefore the issue of funding and financing needs to be discussed." Bulgaria: "We do understand Italy's and Spain's concerns [...] From our point of view the language has an important role to play. Therefore we would like to achieve consensus which [...] would not be a barrier to our integrity and be a source of discrimination. [...] But to this end we need a specific proposal that very clearly defines the scope and objectives of enhanced cooperation. Bulgaria would accept enhanced cooperation only as a last resort only if it takes account of the process of integration in the internal market and does not create barriers and distortions to the rules of competition." So the anxious question "will some opt out? ", as posed in the above-referenced EurActive article, appears quite legitimate, since things may look different at the very moment when the votes are finally collected, even though many think that once enhanced cooperation is in place, the remaining member states may feel forced to join by economical necessities. 1. Cost savings: Advocates of the EU patent frequently argue that the average costs for an European (i.e. EP) patent would be ten time higher that of a US patent, the latter only costing about 2.000 to 2.500 EURO in average, and that the EU patent will be much cheaper due to reduced translation and validation costs. These figures, however, appear to be somewhat political at least to me, since from my personal practice I can tell that hardly any US grant is as cheap as roughly 2.000 US$ - considering the USPTO's quality of examination requiring regularly prolonged proceeding by costly "Requests for Continued Examination" (800 US$ each). Further, attorneys fees, which usually are much higher in the US than in Europe, should be considered as well in order to have meaningful figures. Secondly, considering the fact that the London Agreement has already abolished translation requirements for most of the more important EPC/EU economies like UK, FR, DE, NL, SE, DK - but not, however, for IT and ES - I would not expect huge cost savings due to reduced translation expenses for the EU patent, especially since the two most important countries that have not entered the London Agreement, namely Italy and Spain, will also not participate in the EU patent anyway. So I fear that some European politicians (and SMEs) will be quite surprised that the political promises do not come true to the desired extent, once the EU patent is implemented. 2. EU Patent Court: In my understanding, a unified patent for (parts of) the EU does not make much sense without a unified EU Patent Court system that allows centralised handling and EU-wide effective infringement and nullity actions. Consequently, as already expressed by the Competitive Council in the meeting of 4 December 2009 (EU doc 111744 "Conclusions on an enhanced patent system in Europe"), "the European and EU Patents Court could form the basis of [...] an EU patent" and "the EEUPC should have exclusive jurisdiction in respect of civil litigation related to the infringement and validity of EU patents and European patents". However, at least the proposals that are on the table now do not appear to comment on this essential issue. As far as I have followed the public debate on 10 December 2010, only Slovakia very briefly addressed this central issue. In my eyes, the suggestion of Messrs José Luis Zapatero and Silvio Berlusconi to at least wait until the opinion of the Court of Justice of the European Union (CJEU) on the Unified Patent Litigation System (EEUPC) is issued (see their letter of 7 December 2010 to the EU Commission) is more a necessity than a red herring from Italy and Spain, since without a signal that the EEUPC will come, the legitimate questions of applicants as to where and how a granted EU patent can be efficiently enforced or attacked, cannot be answered satisfactorily. Regarding the above-identified weakness of the linguistic system, which is essentially similar to that of the Commission's legislative proposal for enhanced cooperation, the Advocate General's Statement explained under § 121, that "a company may be summoned in law in a language in whose choice neither its country of origin nor the country where it carries out its commercial activities has participated. [...] [T]his linguistic system appears to be unacceptable with regard to observance of the rights of defence." Consequently, a negative opinion of the CJEU on the EEUPC would also severely affect the efforts to implement the EU patent by enhanced cooperation. As certainly realised by the EU Commission, the EPO, and other stakeholders, a potential solution of this situation may lie in the intensified efforts of the EPO to provide machine translations of patents of reasonable quality. As expressed in a press release announcing the EPO's collaboration with Google, that collaboration "also aims to facilitate the decision process of the EU states in their attempt to simplify the introduction of a single pan-European patent". In any case, the intensity and controversy of the political debate on the unified EU patent system in 2011 will certainly not stand behind that of 2010. New OHIM President Campinos Wants to Transform his Registration Office into "True IP Agency"
Mr. António Campinos, former president of Portugal's Institute of Industrial Property, who has been appointed as OHIM President from 1 October 2010, has great plans for OHIM, the Office for Harmonization in the Internal Market in Alicante, Spain, as titled by the 1709 blog with reference to Mr Campinos' speech at the Brussels IP 2010 Summit on December 3: "OHIM is becoming a true 'IP agency'", which is in deed more thrilling than a boring registration office. As reported by WTR in a series of postings (here, here and here), Campinos' vision for the future of OHIM especially involves an active role in enforcement activities, to provide enforcement measures on the community level. 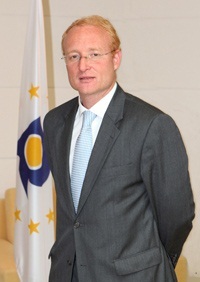 In this regard, he intends that OHIM contributes to the EU Commission’s "Observatory on Counterfeiting" by harmonising the enforcement of IP rights in member states, which fueled speculations that the Observatory will be merged into OHIM, as a starting point of OHIMs future fight against counterfeiting. A series of meetings of the OHIM Administrative Board and Budget Committee in Alicante took place on November 22 to 24. The Administrative Board (AB) includes representatives of the 27 EU member states, the EU Commission and five so-called user associations, namely INTA, Marques, IAM, ECTA, and BusinessEurope. In these meetings, the AB received a detailed briefing from President Campinos, covering Office performance, plans for enhanced cooperation, and details on new competencies which may be undertaken by OHIM, including a deeper involvement in IP enforcement. Participants of the briefing reported later that Campinos appears to be willing to spend money, especially on cooperation with the EU Commission for strenghtening OHIM's compentences in the new filed. Most interesting in this regard were, presumably, the 40th meeting of the Administrative Board on November 22 and the 38th meeting of the Budget Committee on November 24. In these meetings, Campinos explained the new competencies of the OHIM, i.e. its involvement in enforcement in relation to the Observatory. The Observatory actually does not have sufficient resources and funding, while the Commission is working on an assessment to decide how the Observatory can help to make progress in the fight against counterfeiting. Michael Barnier, Commissioner for Internal Market and Services, already confirmed that OHIM should be involved in enforcement and in the Observatory. For that reason, the 2011 budget includes 10 new positions and a budget for enforcement activity (see also press release of November 26). Margot Fröhlinger, Director of Knowledge-Based Economy inside the DG Internal Market, clearly said that she expects that the Observatory will be coordinated by OHIM in the future. She appeared to be impressed with the ideas of the new management regarding enforcement activities. Another area in which we could do more is “enforcement”. This idea has been welcomed by some, and questioned by others. I would ask again: What point is there having a reactive and efficient Community trade mark and design registration system, if at the enforcement stage, each country does its own thing? For the future, we can clearly play a major role in initiatives such as the Commission’s Observatory on counterfeiting and piracy. We can also build on the expertise in the area of enforcement already gained through our seminar series for judges in the CTM and RCD courts in EU member states. [...] In addition, enforcement is already incorporated into other training activities and the Office has promoted awareness through tools such as the Hands off My Design e-learning website. We can do more here and are already studying the best way of coordinating and reinforcing these activities through the creation of an OHIM Academy. Likewise, we have considerable experience in building database tools. [...] One such project will create a multi-modular tool allowing IP enforcement authorities to consult information on registered trade marks and designs, as well as contact information for right holders and other information to allow detection of counterfeit goods. [There are] opportunities for the Office of Harmonization in the Internal Market to become a true IP agency and not just a registration office. OHIM will be formally responsible for the community patent but all actual examination work is done by the EPO. [...] OHIM itself would just manage the workflows, seal the work and do quality review. Of course OHIM could also be a EU Patent Office in Munich. If this proposal comes from Spanish politicians, the point becomes in fact blatantly clear: accommodating the powerful vested interests of some Spanish IP firms. Spain has a big deficit of qualified European patent attorneys. [...] However, the requirements for representing a client before OHIM are much lower. providing output of the listing of clusters of gene expression profiles. Parallel to claim 1, program product claim 10 comprises "programmed means" for each of the steps as defined by claim 1. The specification teaches that a preferred embodiment "uses a time and intensity-invariant correlation function such as that described by R. Agrawal. [...] Specifically, we employ the similar sequence algorithm embodiment of the above described correlation function in Intelligent Miner for Data [...] which was designed for business intelligence, against time varying gene expression data." In a first examination stage, the Board determined that the claimed method fails the machine-or-transformation test since, allegedly, it neither is limited to a particular machine (cf. observations 1, 2), nor do the method steps of claim 1 transform a particular article into a different state or thing (cf. observation 3). In a second examination stage, the Board then analysed claim 1 under the Supreme Court’s precedents on the unpatentability of abstract ideas (see earlier posting). It found that "claim 1 applies the mathematical manipulation of data to determine the similarity between portions of gene expression profiles" (cf. observation 4), such that “the application’s only innovation is its reliance on a mathematical algorithm" (referring to Parker v. Flook and Bilski v. Kappos) making claim 1 an abstract idea as applied to defined data. Regarding program product claim 10, the Board concluded that the expression “stored on a recordable medium”, when interpreted in the broadest reasonable way may read on the non-transitory "carrier wave storage" of In re Nuijten (for explanation see here or here) and referred to the USPTO's latest guiding on "Subject Matter Eligibility of Computer Readable Media" (see this earlier posting). The Board thus took the position that, for different reasons, both claim 1 and claim 10 fail to define statutory subject matter as required under 35 U.S.C. § 101. Criticism: In the meantime the BPAI decision has received some attention from US patent bloggers. While Karen G. Hazzah of All Things Pros is concerned with the rejection of claim 10 and felt that the "Board [not only] should have explained (at a minimum) just exactly why 'carrier wave storage' is 'transitory' and thus non-statutory under In re Nuijten" but also interpreted In re Nuijten wrongly, Steve Lundberg of Patents4Software criticises the Board's reasoning with respect to method claim 1. He argues that claim 1, firstly, satisfies both the machine prong (limited to a computer implementation) and the transformation prong (transformation of data items representing biological properties) of the machine-or-transformation test and, secondly, does not claim an 'abstract idea' but rather is directed to a "very specific task of processing data representative of gene expression, which itself is representative of physical properties of biological material" and "does not merely calculate a 'number' but rather produces 'clusters of gene expression profiles' that are not mathematical in nature, but rather reorganized or correlated data representative of biological properties of biological material". 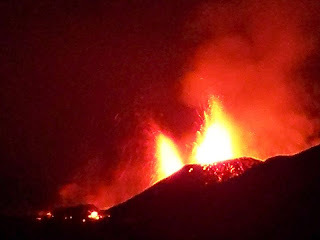 "Happily surprised by the strong support from many countries which did not sign up yet. #EUPatent" (see here). Shortly before the meeting, a joint letter of ten countries (DK, EE, FI, FR, DE, LT, LU, NL, SI, SE) and a letter from the UK asked the European Commission to consider enhanced cooperation, while in another letter Messrs José Luis Zapatero and Silvio Berlusconi, Prime Ministers of Spain and Italy, strongly opposed to such plans ("We insist that enhanced co-operation should only be applied as a last resort mechanism, a requirement that is not met in the negotiations concerning the patent’s language regime") and suggested to at least wait until the opinion of the Court of Justice of the European Union (CJEU) on the Unified Patent Litigation System (EEUPC) is issued. This is a clever move, since Advocate General Juliane Kokott already raised doubts over the suggested three-language regime for a common EU Patent Court in her Statement of Position in July this year (see also here and here). The start of today's debate was not so easy, as Mr Van Quickenborne tweeted here ("Microphones failed ...") and here ("... glass of water knocked over in the Spanish translation booth"). Honi soit qui mal y pense! Anyway, I hope to be able to report soon on the kind of break through that is currently celebrated in Brussels. UPDATE: In fact, those people celebrating the big success have to have better information than I have, since the known 11 supporting countries (DE, FR, UK, NL, SE, DK, FI, LT, SI, EE, LU), maybe plus Austria and Ireland that also support the enhance cooperation initiative, only represent 59,9% of the total EU population and 160 votes, whereas a qualified majority requires 62% of the EU population and 255 (of 345) votes. That is, another 95 votes needed. On the other hand side, the opposing party only needs 35 more votes, since Spain and Italy already provide 56 votes of the 91 blocking votes. It thus will be crucial what countries like Poland (27 votes), Romania (14 votes), Greece, Portugal, Belgium, the Check Republic, or Hungary (12 votes) think. After it turned out in the extraordinary Competitiveness Council meeting of 10 November 2010 that, due to the controversy regarding a commonly accepted language regime, "there will never be unamity on a EU patent" (see this post and the press conference of Mr Vincent Van Quickenborne), the "willing" EU member states intensified the discussion on (and apparently their efforts towards) an enhanced co-operation, i.e. an EU legislative agreement among a small group of EU members to launch a diminished EU patent based on the 'Munich' three languages system, as proposed by the European Commission on 30 June 2010. Now, the EU Council published the agenda for the next Competitiveness Council Meeting, dated 10 December 2010, which, among other topics, also includes a (rather poor statement on a) debate on "the way forward for the establishment of a future EU patent system (17229/09), including the option of starting an enhanced cooperation process between several member states". Even less productive for the general public is, as tweeted by my colleague Axel H Horns, EU document 16946/10 having the promising title "The European Union Patent: Way forward and possible enhanced cooperation - Exchange of views", which is, precautionarily, not accessible at all. Anyway. 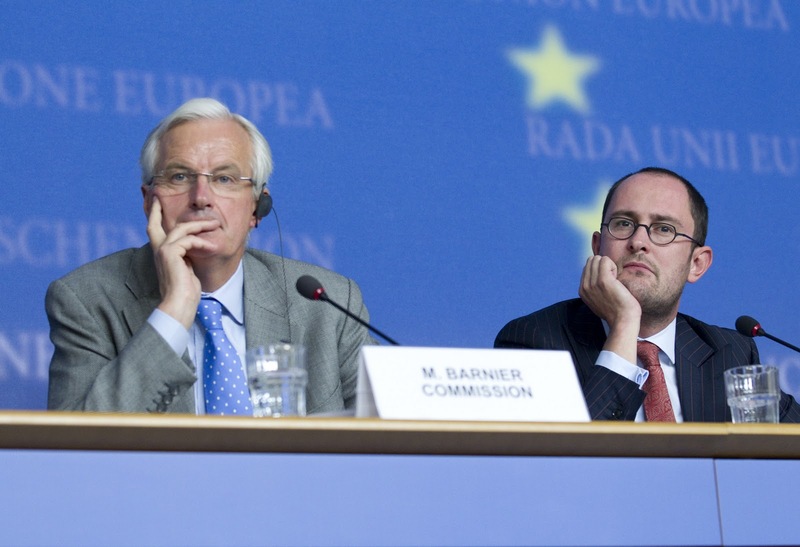 It is expected that Frenchman Michel Barnier, the EU commissioner for internal market and services, will present a proposal to the Competitiveness Council on the next meeting, which Mr Van Quickenborne expects to be "decisive on the single EU Patent" in a recent tweet. There have been reports that Sweden, Germany, the United Kingdom, Ireland, the Netherlands, Slovenia and Estonia intend to formally apply for a common patent agreement based on enhanced cooperation. Moreover, France, the Czech Republic and Malta may also jump on the bandwagon, making all together 10 supporting states - one more than the required number of 9 supporting states according to the Lisbon treaty. Further to that minimum number of participating states, an enhanced cooperation also requires a qualified majority of all member states, i.e. a proposal must attract 255 out of a total of 345 votes and represent at least 62% of the total EU population. As a quick sample calculation, the above 10 supporting countries would, for instance, only represent 140 votes and 40,7% of the EU population, while the most reluctant countries Italy, Spain, and Poland, together with, let's say, Portugal would have a blocking minority of 95 votes (and 27,5% of EU population). This may illustrate that even the enhanced cooperation will not be a fast selling item either, as expected by Margot Fröhlinger, Director of Knowledge-Based Economy inside the DG Internal Market, on the Munich-based IP Business Congress in June this year. My personal feeling, however, is that it may turn out in the end that the enhance cooperation approach - which has only been used once before (in the field of divorce law) and does not appear overly appropriate for implementing a Europe-wide protective right with associated court system - only was a "red herring" to demonstrate to the opposing countries the assertiveness and strong will to succeed of the supporting countries. I am pretty sure that there will be a certain political or even monetary price at which countries like Italy and Spain - that are in danger of becoming subject to the massive European debts crises - may change their minds. In support of my expectation, Mr Julian Crump, Secretary General of FICP and attendee of this month's IP Summit in Brussels tweeted that he was "shocked to hear one MEP optimistic that if Spain needs a bail-out it might pull it's objection to EU patent". However, this kind of "political persuasiveness" is not at all defamatory among countries and has a long tradition as major lever (some say horse trading) in EU decision processes. This attempt will be the very final chance of the Belgian Presidency to effect some essential move towards a (somehow) unified EU patent, before Hungary and then Poland will take over, both countries having a rather reserved view on the EU patent based on the proposed three-language system. UPDATE: In a today's Bloomberg/BusinessWeek article it is reported that 10 EU member states (France, Germany, Estonia, Denmark, Finland, Lithuania, Luxembourg, the Netherlands, Slovenia and Sweden) have sent this joint letter to EU commissioner Barnier on December 7 to push to create a Europe-wide patent system [via enhanced cooperation] since "it is clear that the objective of the creation of a unitary patent protection in the territory of the EU cannot be attained within a reasonable period of time by the Union”. According to that report, a determined Commissioner Barnier told reporters in Brussels today that "we are ready, we are prepared, to start the procedure for creating a more harmonized EU patent system" and that "the commission will present proposals on the future content of a single protection for patents across the EU [based on the latest compromise proposed by Belgium]", i.e. the compromise (non-paper) proposed by the Belgian EU Presidency, which failed on the Competitiveness Council held in Luxembourg on 11 and 12 October 2010 (see earlier reports here and here). many more than the 10 countries that signed the letter will join the enhanced cooperation for creating a EU-wide patent. The occurrence of this blog in the IP blogoshere wasn't quite as dramatic as the eruption of Iceland's Eyjafjallajökull in spring this year. However, for me personally it was a rather big step to integrate more or less regular blogging into my daily rountine, so that I hope that some readers could/can gain some value from my posts. If I can trust my statistics tools, I have had about 9.500 visitors so far, mainly form the United States (20,9%), Germany (19,0%), United Kingdom (7,6%) Japan (7,3%) and Holland (6,4%). In my 100th posting it is certainly high time to send my Big Thanks to all of you for following my postings in the past eleven months! My very first blog posting was launched on 18 January 2010 more as a preliminary test than as a start of a regular blogging carrier. Since then I - surprisingly - managed to post 8 to 10 pieces per month, which I consider the absolute maximum imaginable posting rate besides my main "jobs" as patent attorney in my Munich based patent law firm k/s/n/h and as a husband and father of two. As it is explained on the blog's main page, the name "Visae Patentes" is derived from a medieval Latin root whose meaning slowly transformed from an official term for a "privilege issued in writing" (e.g. a patent) to a rather colloquial expression of getting up to nonsense, doing silly things, or messing about something. Of course, I am not saying that patents are nonsense - the name is rather meant to provoke some cognition to achieve "distinctiveness" -, but there certainly exists a fine line between useful patent regimes that really foster technical progress and other regimes that are less useful in this regard. Many smart people (and also some less smart but more dogmatic fellows) assume that this fine line is constantly crossed by so called "software patents", since, so they say, software almost always relates to conceptual and mathematical issues (i.e. "abstract ideas" in the Bilski sense) and programming is not about inventions anyway, which is why software-implemented inventions should not be patentable at all. While I agree that pure conceptual or mathematical teachings may lie beyond that fine line, it is also clear that there exist software-implemented inventions that apparently must lie at the patentable side of that line since they represent technical improvement in the very sense of that word, e.g. a software-controlled washing machine, car brake system or the like. For many years now, jurisdiction around the world have tried to find appropriate legal definitions and models for that fine line, so called patent-eligibility requirements. While the EPO and Germany follow a "technicalilty" approach, the US has its machine-or-transformation test and no-abstract-idea/Bilski approach, Great Britain follows its Aerotel/Macrossan test, Canada requires a "practical embodiment", Australia a "physical effect" and Japan has a laws-of-nature requirement. In the end, all of theses approaches apper to relate to the same core issue of patent eligible subject-matter, namely to its tangible technical implementation. As a patent attorney and computer scientist it was quite natural that in the beginning I planned to mainly report on IP software protection, but over the months I found many more interesting IP related topics that I considered worth mentioning, e.g. the exciting and important political debate on the so called EU and European Patent Court (EEUPC, EPLA) and the EU patent. Now, at the end of an eventful year, the EU patent failed (again) due to language issues and a so called enhanced co-operation of some willing EU member states appears to be the last resort. Or, rather, the latest approach of Germany and some others to quickly initiate an enhanced co-operation may also be a red herring to force stroppy Italians and/or Spaniards into the EU patent, whereas such "cooperation" may then be compensated for in some horse trading - during these days of southern European debt crisis. For now, we learned from @EUCouncilPress that the enhanced co-operation has made its way on the agenda of the EU Competitiveness Council on 10 December 2010 (cf. #EUPatent). We thus will receive some more hot news on this issue until the end of the year. Besides such political issues, the two opinions G 3/08 (12 May 2010) of the Enlarged Board of Appeal of the EPO and Bilski v. Kappos (28 June 2010) of the US Supreme Court were most relevant for many of us. While the Bilski opinion did answer some questions but posed even more new ones, the G 3/08 opinion marked somewhat of an end point in the debate on the EPO's practice on CII. In fact, the "adapted problem/solution approach" as developed in T 208/84 (Vicom) and T 641/00 (Comvik), a variant of the regular problem/solution approach that additionally assesses a claim's technical character and its inventiveness based on technical features, has been confirmed as established examination scheme for CIIs and there is not the slightest sign that the legislator (i.e. the European Commission) will put that question back on the agenda after the epic failure of the proposal for an EU Directive on the patentability of computer-implemented invention in July 2005. So, according to my understanding, at least before the EPO we have gained some consistency and legal certainty as to what computer-related inventions may be patentable in Europe. Aug: US CAFC says that a Computerized Method is not Inf..
May: Will USPTO use Section 112 more often in rejections of software patents claims? Jan: Germany following the EPO approach to patentability of CII? Apr: Is software really comparable to books/films? Apr: May software patenting and open source go together? Mar: Patent system really has had its days? Feb: New EPO President elected this week?